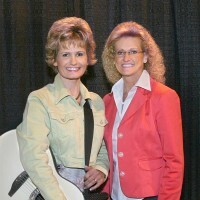 This musical duo is part of the music and comedy group “THE LINKS”. For years “THE LINKS” were based out of Reno, Nevada and performed in prestigious showrooms in Reno, Lake Tahoe and Las Vegas, like the MGM Grand and Harrah’s Casino along with multiple cities throughout the Midwest. Mary and Diana started performing together in 1975. Since 2009 they have been working in the senior market sparking lots of memories and smiles with their music of years gone by. Their guitar and keyboard styles offer a unique and special blend to their vocals and harmonizing talents. Not only can you see these girls entertaining in the senior market you can catch them in the evening venues around the Omaha area. The LINKS DUO performs a variety of music with lots of excitement and interaction with their audiences and takes great pride in customizing their show for your entertainment needs. They are excited to be part of the Merrymakers association and look forward to playing your facility soon!